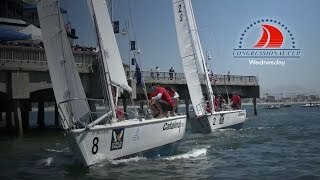 Long Beach Yacht Club - The Congressional Cup is complete, and the new red blazered champion is crowned after a heated race five, down to the wire finals. 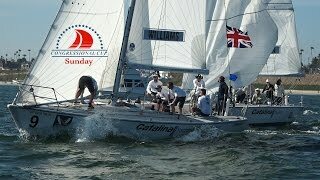 Long Beach Yacht Club: The final four were determined today as Taylor Canfield, Johnie Berntsson, Phil Robertson and Ian Williams move on. 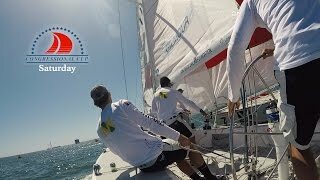 Long Beach Yacht Club: Berntsson, Canfield, Robertson and Sam Gilmour are joined by the four top teams from the repechage completed today as the quarter finals start tomorrow. 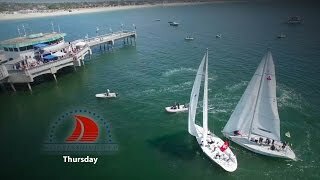 Long Beach Yacht Club: A second day of racing is complete in front of the Belmont pier as the top four teams have been established. 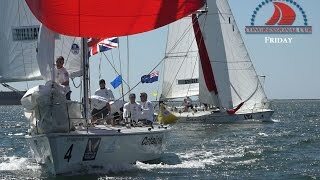 Long Beach Yacht Club's kicks off the 53rd running of the Congressional Cup with twelve international teams competing for the right to wear the crimson blazer.